I grew up in the day where I wore plaid flannel and jeans to school nearly every day! I have a love of all things woven, probably from this stage in my life. So this woven, hand-stamped card came to life when I was chatting up an High School girlfriend who was reminding me that she 'knew from where I came from' and that I didn't have to dress up to see her (aww). 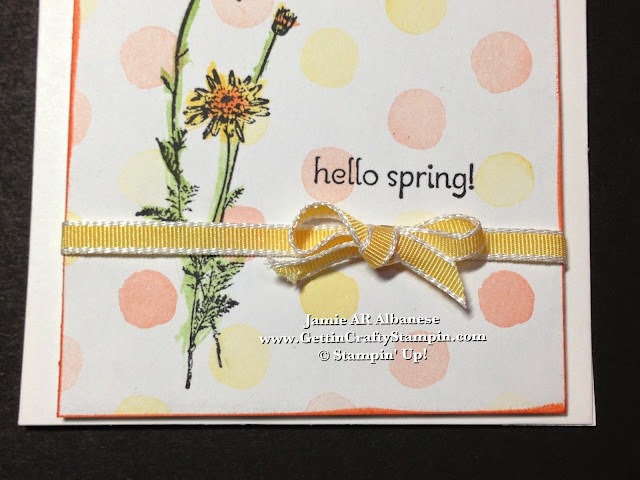 So I hope you'll join me with this fun woven ribbon card. Create this woven ribbon (in nod to my youth and friend Brandi and my friend Carol who sells Longaberger - you just have to love the woven look!). 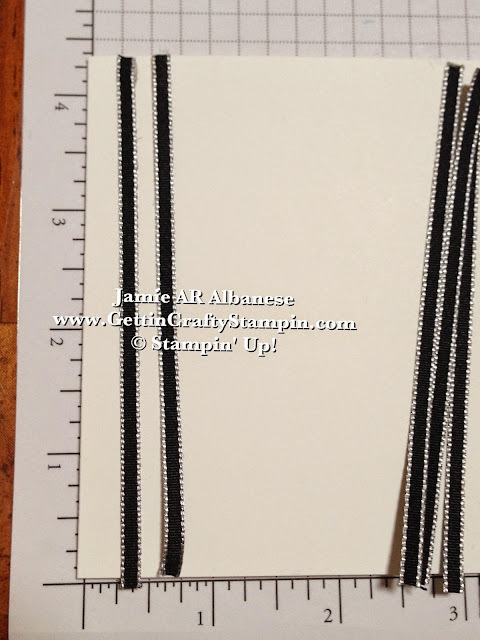 Here I cut several strips of Basic Black 1/8" Taffeta Ribbon to fit the 4-1/4" side. Using the Grid Paper as a guide for spacing. I roll the Glue Dots off of the roll for these narrow strong adhesive roll. Use this to hold one side of the ribbon down so it makes for easy weaving! Weave the Bermuda Bay 1/8" Taffeta Ribbon using the Grid Paper from the other side of the card stock. This creates a fun and funky look. I did these rolled Glue Dots at the end after it was all woven for a strong adhesive that is easy to use with this thin ribbon. 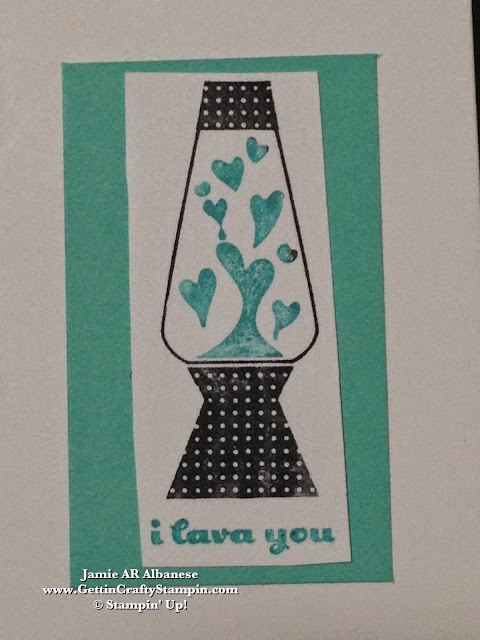 Color this 'I Lava You' stamp from the Crazy, Mixed-Up Love stamp set (this is such a fun set!!) 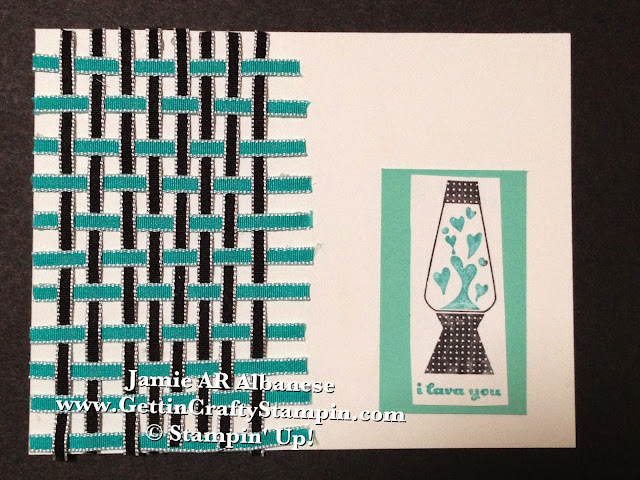 with the Black Stampin' Write Marker and the Bermuda Bay Stampin' Write Marker from the Brights Collection. 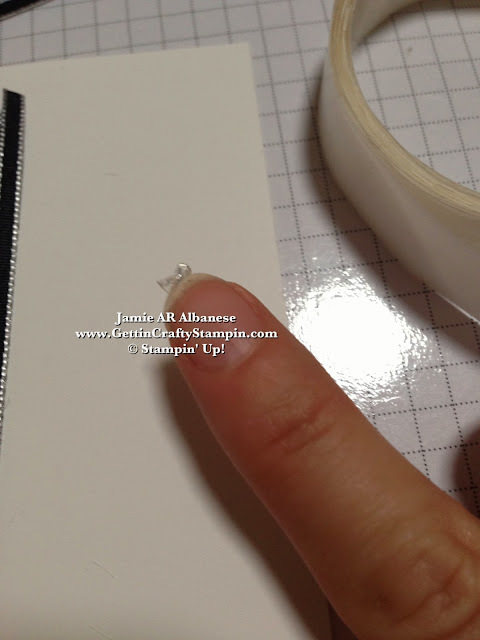 Huff and apply to a strip of Whisper White card stock. 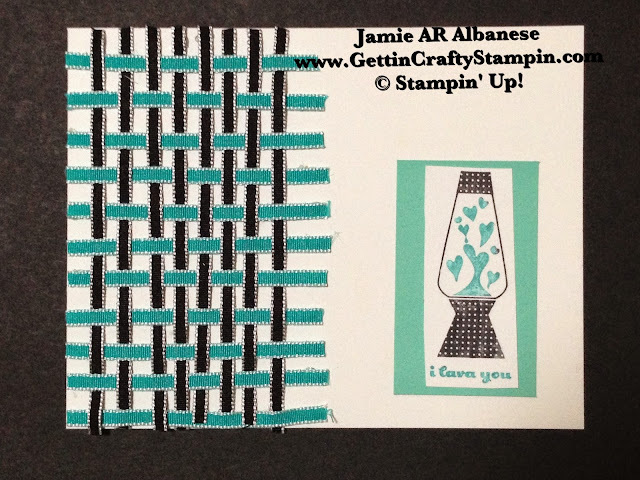 Layer over a strip of Bermuda Bay card stock for a balanced looking card. Celebrate those people and memories that are woven to make you who you are. This card was inspired by a friend of my youth (thanks to Facebook, still a friend today!!) and a newer friend (the past couple of years). This is a great way to create something fun that is classic while funky and trendy! Go ahead, weave some memories of your own - from ribbon to pretty papers.. have FUN creating a woven, hand-stamped card.